Zero/Six Consulting, LLC delivers innovative solutions for the creation and maintenance of better building envelopes that increase the life and performance of your building while meeting your budgetary requirements. A building envelope is defined as the physical separator or barrier between the interior of a building and the external environment. It protects the occupants of a building from the outside environment. Zero/Six Consulting has been providing reliable, fast and professional building envelope consulting services for over 13 years. 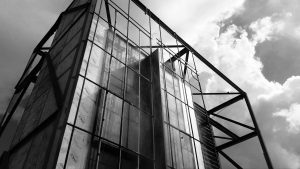 As building envelope specialists, we are dedicated to ensuring the integrity, quality and performance of the exterior envelope, facades, fenestration, and roofs of new and rehabilitated buildings. Our technical expertise in all facets of building envelope systems enables our clients to construct facilities with increased energy savings, reduced maintenance, and enhanced weather resistance creating a longer lasting investment throughout the building’s life cycle. Our philosophy is simple: Identify. Explain. Resolve. We work with our clients to identify current gaps and potential threats; explain problematic issues and offer resolutions that ensure quality standards are met and cost-effective solutions are delivered. Discover how we deliver innovative solutions that ensure optimal building envelope performance. We offer consultancy services right from design phase to close out for new construction and remediation / renovation projects including design, peer review, quality assurance inspection and problem resolution. We also undertake works for construction document development, water infiltration investigations, roofing and waterproofing, historic preservation and restoration, field testing, due diligences and construction claims. We cater to all types of clients from varied industries including, manufacturing, healthcare, education, hospitality, retail, government and other organizations. We provide services to any size facilities and structures ranging from single story, to mid-rise to high-rise to large construction projects. Read More about our complete suite of building envelope consulting services. For more information, Call us on: 409.740.0090 or visit our website www.z6consulting.com for more details.